Despite first being added to the Society of Professional Journalists’ Code of Ethics in 2014, “transparency” has always been an elemental part of journalism. 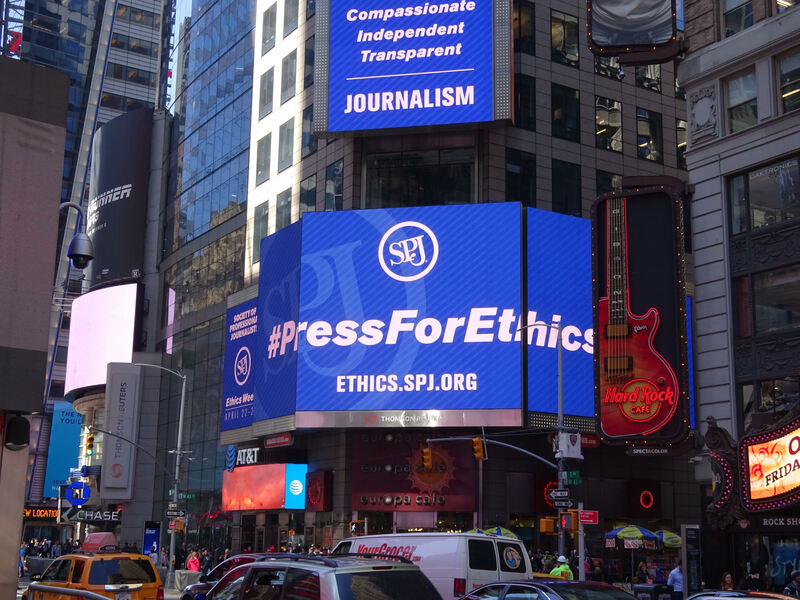 As SPJ embarks on its 15th annual Ethics Week and the organization calls for more transparency throughout journalism, it’s important to look back at the complicated relationship between the concept and the profession. When speaking about the early days of an established press in the United States, the focus should be about a lack of transparency. Writers rarely put their names on stories in newspapers, for example. Sensationalized or even fabricated stories were not unheard of either. Recognition of transparency – either consciously or unconsciously – as an important element of journalism sprung up in the early 1900s as organizations such as SPJ, which was then known as Sigma Delta Chi, and schools started teaching and promoting best practices. While elements of transparency emerged in journalism through best practices, the profession was still relatively opaque, compared to today’s world, until the invention and widespread use of the internet. In many ways, journalists benefited from that lack of transparency. Readers and viewers were often unaware of mistakes unless a newspaper or broadcast issued a correction, for example. Journalists in today’s world would likely consider that state of transparency a luxury. Social media now allows waves of criticism – whether justified or not. News organizations can no longer stubbornly refuse to issue corrections or other clarifications without pushback. Journalists and news organizations are – in many ways – completely exposed to the public. Unavoidable transparency has many positive results, including more accurate and unbiased information. Journalists and news organizations must correct the record if they publish or broadcast an error – or face the consequences of an angry public. Similarly, many journalists are aware that they’ll be called out by the public for any hint of bias. Society should benefit as a result. It is, however, is a double-edged sword. The same accountability triggers, such as social media, that encourage corrections and fairer coverage can cause inherent distrust of the press. A news organization that prints or broadcasts a mistake today would likely be called out on social media and be forced to issue a correction. Prior to the internet, some news organization may have shrugged at a similar mistake and skipped issuing a correction. As a result, today’s press could look less accurate and more mistake prone than news organizations in the pre-internet age. Some may call for journalists and news organizations to pull back on transparency due to this paradox, but that would be a foolish approach to address the public’s current lack of trust in the press. Transparency is unavoidable in today’s media environment. Those who are opaque and closed off will, without a doubt, be seen as untrustworthy. Journalists and news organizations must continue and deepen their commitment to transparency. While there may be periodic hiccups that suggest it’s best to retreat from that commitment, perseverance will pay off in the long run when it comes to transparency.